I started focusing on Singapore more than a year ago, and I’ve been continually impressed at how the country is continuing to develop. This is especially true for the oil industry, which accounts for 5% of Singapore’s GDP—a high percentage for a country with no significant oil and gas resources of its own. 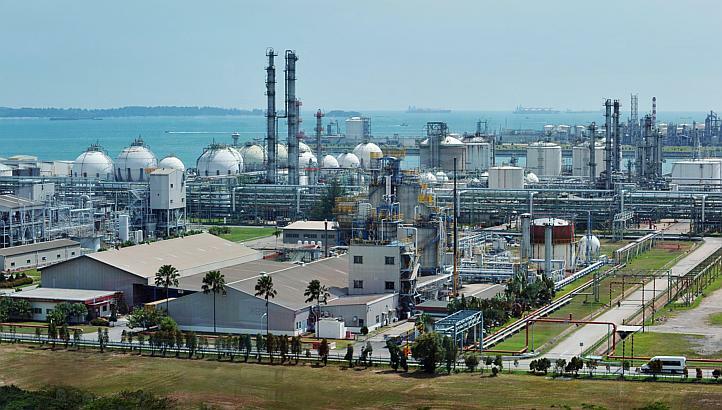 The Singapore Petrochemical Complex on Jurong Island is home to major heavy industry concerns. Although Singapore has very little indigenous oil and gas resources, its strategic position in the region has made it one of the top three refining centers in the world. And the potential is still growing: Today, there’s already a greater demand for energy resources in the region than when I moved here. The demand for energy will continue to grow significantly over the coming decades, and not just in Singapore. Global demand is expected to increase, with a large portion of the growth coming from the developing economies in Asia. In the decade from 2000 to 2010, the Asia-Pacific region accounted for 56% of the increase in global primary oil demand, and the Baker Institute estimates that it will account for 70% of global oil demand growth from 2010 to 2020. I see big potential for production growth in the region, and I predict that Singapore will play an increasingly important role in the oil and gas industry. Singapore’s growth potential continues to climb. In addition to its potential for growth, I can see that Singapore is a safe and easy place to do business. The business-friendly regulatory environment, alongside the mature financial system, makes this place very attractive for businesses to invest. Singapore is already the regional home to many global energy companies, such as Shell and BP. Plus, the Port of Singapore is one of the busiest in the world, and one of the most efficient in terms of vessel throughput. Despite the lack of massive oil reserves domestically, companies are flocking here – which will grow the country’s economy even more. However, there is competition in the region. Singapore competes with China and Vietnam in the petroleum products market, but the government of Singapore has stated publicly that it will continue to promote long-term growth in refining capacity and oil trading to maintain its position as an industry leader. As such, Singapore will likely remain competitive. Singapore’s oil and gas sector is currently focused in the downstream, which provides long-term stability to the economy. But the nation isn’t lacking additional opportunities for growth in both LNG and the upstream. Major international companies have invested billions in fully integrated refinery and petrochemical facilities. Because the chemicals and crude markets are often inversely correlated, coupling the refining facilities with the petrochemical facilities enables flexibilities and efficiencies that provide insulation from economic shocks and crude price variability. In addition, these facilities are huge financial investments that aren’t going anywhere any time soon. These billion dollar investments in fixed infrastructure will pay returns for multiple decades or longer. Although oil production has been declining in recent years in the two of the region’s largest producers – Indonesia and Malaysia—there’s still potential for production growth, especially in LNG. Several major companies have made some of the biggest investments in history in individual LNG projects in the Australian gas fields – most notably the Shell Prelude project and the Chevron Gorgon project. When completed, the Prelude will be the largest ship in the world. The LNG production in the region is likely to grow over the coming years, and Singapore could be a strategic player in the LNG trading markets. LNG consumption and trading is expected to grow, and given the momentum from the success in the refining sector, Singapore is well poised to capitalize in the LNG trading sector. While the majority of the Singapore’s oil industry is downstream focused, the upstream sector is potentially poised to grow as well. Singapore does not have exploration and production activities happening inside the country, but a great deal of the engineering, financial, and administrative operations for the region can be based in Singapore. Singapore’s mature business environment makes it much more attractive for business operations as compared to other countries in the region. The confluence of the stable government, strategic position, and regional growth has made Singapore an attractive place for investment, especially in the downstream sector. The momentum will continue with global demand growth. This momentum can be translated to other parts of the industry. Singapore is already established as a major player, and its position as a world leader in the refining and petrochemicals industries will only continue to strengthen in the coming years. I can see that Singapore has the potential to become a world leader in the upstream and LNG trading sectors. For Singapore, and for the energy industry, the outlook is good. This post really goes to show how GLOBAL the energy market is! If a tiny country like Singapore can become a major oil and gas hub without any domestic reserves/production, it emphasizes that everybody’s interconnected. Committing to long-term refinery growth was a really smart move on the part of Singapore’s government. With its infrastructure, location and business-friendly environment, I can see why the country is drawing the interest of so many large-scale O&G companies. One impressive thing about Singapore is its infrastructure. As you mentioned, it has one of the world’s busiest ports, but it also has huge oil storage facilities with 1.47 million cubic metres of space for the storage of crude oil. This is a huge asset that will help the country continue growing its oil & gas refining efforts. Singapore is also a tourist’s dream. With so many people already traveling there and others hearing about it and maybe putting it their agenda for future travel, a burgeoning O&G industry can only help the country.